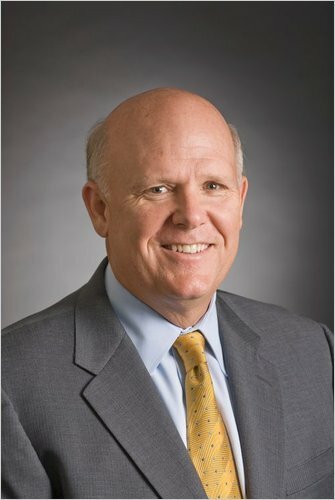 Khulumani congratulates Daniel F. Akerson who is to become the Chief Executive of General Motors (GM) on 1st September 2010, and will become Chairman of the Board in 2011. 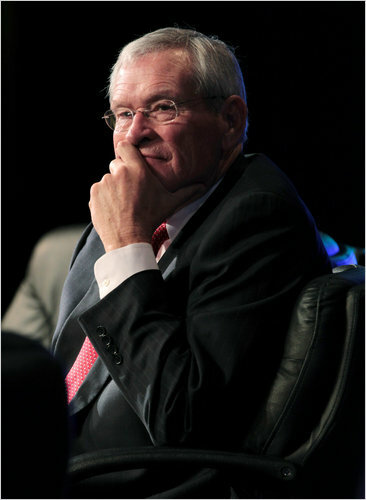 The idea is “to have a smooth, seamless transition” according to the present Chief Executive and Chairman, Mr Edward E. Whitacre Jr.
Khulumani sincerely hopes that Mr Whitacre will not forget, in the seamless transition to inform Mr Akerson of the South African Apartheid Litigation (formerly Khulumani et al vs Barclays et al). Please do not forget to tell Mr Akerson of the charge that GM must answer to: that of knowingly aiding and abetting the security forces of the apartheid government in oppressing civilian South Africans by providing vehicles such as Bedford trucks for the security forces to use. Please do not forget to tell Mr Akerson about some of the victims and survivors of gross human rights violations perpetrated by the security forces of the apartheid regime whose lives are now worse off than before. We are delighted to hear that GM has made a $1.3 billion profit over the last 6 months – and that GM is no longer bankrupt. We therefore respectfully request that you withdraw from the bankruptcy hearing scheduled for 24 September, 2010. We would also invite you to consider directly contacting Khulumani’s lawyers, Hausfeld LLP, to discuss the case. The iniquity of the companies that knowingly aided and abetted the security forces of the illegitimate apartheid regime is that not only did they break international sanctions imposed by the United Nations, but their actions have directly and indirectly resulted in a number of people’s lives being almost irreparably damaged. These companies include IBM, Daimler, General Motors, Ford Motor Company and Rheinmetall. Many others were involved – banks, oil companies, mining companies, arms and ammunitions companies, construction companies. Indeed any local or international corporation that allowed itself to be co-opted in one or other way not only in sustaining and maintaining apartheid’s illegitimate legislation, but also those companies that assisted the security forces to oppress the people of South Africa. Some of this oppression was through following the immoral and illegitimate laws of the land at that time. For example: did Daimler pay its workers in South Africa (through Mercedes Benz SA) the equivalent rate that its workers in Germany received? Or was it the opportunity to exploit cheap labour that made SA so attractive to Daimler (and many other companies)? Many victims and survivors of the myriad deliberately harming and destructive actions of the corporations are today worse off than before liberation. The promise of a ‘better life for all’ has become a ‘better life for all – except for those who had a better life before, and except for those who are not connected’ . . . to elites in the ruling party. The tragedy is that many of the victims and survivors who have been transformed into elites themselves do not care about their comrades who have seen no justice or whose lives are worse off than before: dispossessed, as Prof Ariel Dorfman says, of their futures. Victims testified at the Truth and Reconciliation Commission under the impression that, because they had voluntarily given up the right to sue their perpetrators in pursuance of the truth of the past, they would be appropriately recompensed for their suffering and losses. Government broke that promise despite the TRC itself recommending that reparations be paid annually to the victims and survivors for six years. This must have partly been to try and ensure that none of the victims and survivors were worse off afterwards than they were during apartheid. A once-off reparations grant of R30,000 was provided by President Thabo Mbeki and his government. One of the mothers of a disappeared son bought a second hand car with the money and named the car after her son. But the possibility of a son who may have gone on to study or work and to help support his mother in her old age could never be compensated for by the minimum payment made by government, or the purchase of a car. The worst broken promise — a betrayal of trust — comes from those in positions of power or wealth who have turned their backs on their comrades. Broken laws require that the perpetrators are found guilty in a court of law and suitably punished. This includes that those guilty of apartheid crimes, and apartheid was a crime against humanity that cannot prescribe or be allowed to prescribe through glib legal arguments. Broken promises require that the promise-breakers should make amends for their defaulting. This means that our government must come to the table with the victims and survivors and ensure that the resources made available by donors and foreign governments to the President’s Fund eventually reach those people they were meant for. It is a disgrace that the President, the TRC Unit and the officer in charge of the President’s Fund have not yet published the required regulations for distributing the money in this fund to those it was created for, thirteen years after the first donations were made by the Swiss Government and the Kingdom of Denmark! The Swiss Government stipulated that the funds be distributed as mandated by the TRC. The Danish money was to be spent “solely in accordance with the recommendations of the Truth and Reconciliation Commission’s Commitee on Reparation and Rehabilitation”. This has clearly not been done. Broken lives require that the resources for redress of material, emotional, social and community reparations are provided. It requires that every one of us living in South Africa, but especially the elites and the new elites, do what we can to make sure that the forgotten heroes of the struggle who suffered for justice and freedom in our land are enabled to carry on with their lives not worse off than when they joined the struggle. The documentary, Fair Play, one in the seven-part series called Have You Heard From Johannesburg?, directed by Connie Field of Clarity Films, Berkeley, California, was screened at the Peoples’ Justice Fan Centre in Jabavu, Soweto on Friday 9 July, 2010 in a focus on Sport, Memory and Apartheid. The film highlights the central role that Dennis Brutus played as an anti-apartheid activist in the sports arena. As we have seen in the FIFA Soccer World Cup 2010, fair play does not necessarily take place — especially when referees and linesmen (and they were all men) make mistakes. Fair play was not the name of the game during apartheid either. The main referee at that time, the apartheid cabinet and government as a whole, made the rules and applied them through the security forces. But they applied the “rules” unfairly and allowed them to be applied unfairly — including letting multinational corporations such as Daimler, General Motors, Ford, IBM and Rheinmetall do business under apartheid laws. This meant these companies (and many others) would have had segregated toilets; differential pay packages based on skin colour, and “job reservation” — ensuring that only white people were given managerial posts. Unions were banned for much of the time of apartheid for fear of strikes disrupting the economy. Dennis Brutus clearly saw the injustice of all this, made his voice heard, and was targetted by the apartheid regime. He was shot in the back in 1963 while attempting to escape police custody, and nearly bled to death on the sidewalk while waiting for an ambulance. The ambulances were also segregated and only ambulances reserved for whites were immediately available. He had to wait for a “blacks only” ambulance. Fair play? No. Brutus’s being shot is the reason he was listed as a plaintiff in the Khulumani Lawsuit. Unfortunately he died in his sleep in December last year and will not see the outcome. His son Tony is representing him. Even after a democratic government came to power in South Africa, Dennis Brutus recognised that there was still no level playing field for many, if not most, of the people of South Africa. He got stuck in and started to make his voice heard again — this time about different kinds of injustices. 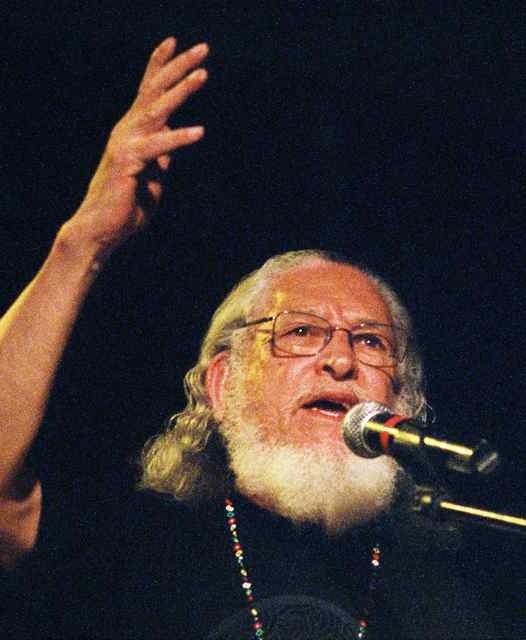 Khulumani Support Group recognises and salutes Dennis Brutus for the role he actively played in attempting to ensure fair play in a democratic South Africa. Winning the South Africa Apartheid Litigation would be a major tribute to him — particularly as it would set a precedent that multinational companies are obliged to “play fair” when working with foreign governments. 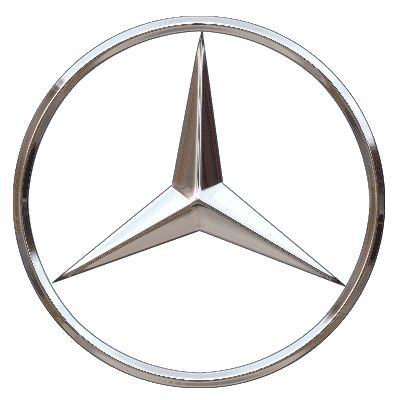 Farewell Germany…But what about Daimler? In the semi-final match, and in line with Paul the Octopus’ eerily correct predictions, the on-form German side crashed out of the World Cup against a formidable Spanish team. With one match to go to determine the third and fourth places in the tournament, the German team will be facing Uruguay before packing their bags and leaving the country. Daimler AG generously sponsored the German team in its quest to win the Soccer World Cup on South African soil, while ignoring calls to acknowledge and pay reparations for its “sponsorship” of apartheid atrocities. As we’ve documented elsewhere on this blog, and assert in the lawsuit against Daimler and others, the South African apartheid security forces could not have carried out the crimes against humanity (of torture, forced disappearances, indiscriminate shooting, arbitrary detention etc.) without access to the products provided by Daimler and others — which they knew would be used in carrying out these crimes. Daimler may currently be paying for the transport and equipment of the German soccer team, but 30 years ago and beyond they were paid to provide transport for armed security forces in terrorising ‘non-white’ people across South Africa. During the World Cup Daimler benefited from a contract to provide luxury buses for transporting teams and tourists. As South Africa begins its dialogue about and evaluation of the legacy of the World Cup, maybe we should be asking Daimler whether it’s going to ignore its horrific apartheid-assisting legacy by jumping on a plane and leaving with the German team. Or will it face its past and commit to a legacy that compensates apartheid victims and survivors such as those represented by Khulumani? Will it build up those South African lives its vehicles were used to damage? And will it withdraw its threats to pull out of its manufacturing plants in the Eastern Cape? Can the blood-stained “star of apartheid” begin to be cleansed and Daimler’s reputation revived? Not without facing up to repairing the damage they helped create. 30 June 2010 marked the 50th anniversary of the Independence of the Democratic Republic of the Congo (DRC). An all-day seminar organised by Congo for Peace was held at the University of the Witwatersrand’s Great Hall. Khulumani Support Group was invited as a representative of victims and survivors of the apartheid government-multinational corporates collusion. The seminar was attended by some 500 members of the Congolese Diaspora including Congolese students studying at nine South African universities, human rights defenders from the DRC, and the Ambassadors of the DRC and of Belgium. The struggle of the Congo for independence from a particularly brutal period of colonisation by Belgium was reviewed. During this time more than 10 million Congolese people were killed due to a combination of famine, forced labour and systematic violence. This must surely count as a holocaust — but it has not generally received recognition as such, compared to other holocausts. The day commenced with a commemoration of the role played by Patrice Lumumba as president of the Mouvement National Congolais (MNC) in the negotiations, and his subsequent election as the state’s first President. 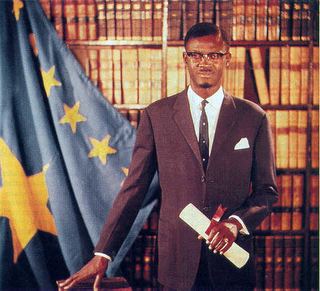 Lumumba survived only six months in office before being ‘eliminated’ by a firing squad organised by Belgian officers on January 17, 1961. An arms company surely knowingly aided and abetted this assassination. Lumumba’s thwarted dream of a peaceful nation in which the needs of the people would be prioritised, was remembered. The seemingly unending conflicts driven by ambition for control of the DRC’s extraordinary mineral wealth undermined this hope and ideal. The invasion of the country by the armies of Uganda and Rwanda in 1997 to overthrow the dictator Mobutu Sese Seko, and the subsequent invasion the following year to overthrow Laurent Kabila were seemingly motivated by this desire to access the DRC’s resources. The DRC’s neighbours, Zimbabwe, Angola, and Namibia sent their armies in to defend Kabila. By the time all these armed forces had withdrawn in late 2002, the country was left in shambles, corruption was rife and the illicit trade in conflict minerals was thriving. Armed rebel groups, supported primarily by Rwanda, Uganda and Burundi, exploited this chaotic situation. Another approximately 5,4 million people are said to have been killed. The lucrative illicit trade in ‘blood minerals’ includes coltan (columbite-tantalite) used in cell phone technology, diamonds, gold, cassiterite and wolframite. The minerals continue to haemorrhage out of the country — eventually reaching the pockets of multinationals mainly in the UK, the USA and possibly South Africa as well. While rebel groups exploit the illicit trade in the eastern DRC, multinational corporations are apparently colluding with Congolese political elites to profit from extensive copper, uranium and other minerals’ mining operations in areas such as Katanga Province. Multinationals have even established and equipped their own private armies to provide security for their operations and these paramilitary groups have been involved in perpetuating the violence in the country. The multinational companies are accused by the people of knowingly committing human rights violations with the support of political elites. Could they one day face similar litigation as the South African apartheid litigation (Khulumani international lawsuit)? Will the global movement for justice and corporate accountability facilitated by changes in international human rights law become strong enough to challenge these essentially criminal activities? The people of the DRC are increasing their civic presence inside and outside the country. They are demanding that democratic institutions become increasingly responsive to the citizenship’s needs. They are also demanding a military and police force that provides real protection to the people. The experiences and support of Khulumani, which is taking the struggle for justice for victims forward in the law courts of New York City will hopefully set precedents for multinational corporates’ accountability and liability — for knowingly aiding and abetting gross human rights violations. Khulumani alongside Congolese civil society is outraged by the murder of respected human rights defender, Mr Floribert Chebeya Bahizire on June 2, 2010. Mr Bahizire was apparently invited to a meeting with the Chief of Police. Some hours later his body was found in his car with the body of his dead driver at another site. Mr Bahizire was director of Voice of the Voiceless, an organisation similar to Khulumani. Victims everywhere draw strength from the memories of those who have given their lives for a vision of a society that benefits all. We commit to struggling in solidarity to end the impunity of individuals and companies that have violated international human rights norms, and to secure reparations for the damage and destruction they have caused. This is surely a situation where an initiative of strategic importance requires urgent action involving the international community, local governments and civil society including human rights organisations. A large scale resumption of armed conflict in the African Great Lakes region threatens the stability of the entire sub-region. Khulumani recognises that its lawsuit against the particular named corporations is one fight amongst many to secure justice for individuals and communities across the globe, and ultimately bring about a shift in the way corporations behave worldwide. One of the sectors of industry that has constantly proven to have a despicable track record in human and environmental rights worldwide is that of mining. South Africans will recognise the extent to which the large mining houses used the apartheid system to pay exploitatively low wages, and how migrant labour systems have scarred our society in deep and troubling ways. Tomorrow, 25 June, the People’s Justice Fan Centre will host a seminar presentation by the Benchmarks Foundation which works on issues around the impact of mining on communities and the role of Corporate Social Responsibility in these areas. The seminar seeks to lay out a broad understanding of mining’s impact on communities and particularly their corporate social responsibility. We hope to use the space as a time to share information and experiences of communities that have experienced the effects of mining. As the South African government and people found the resources and political will to organise the World Cup, we ask whether we can mobilise the same energy to address the impacts that mining companies have had on communities; health, land rights and the environment. Organisations such as the Vaal Environmental Justice Alliance, ACER and Benchmarks will all be involved in the discussion. All interested parties are encouraged to attend! Venue: The People’s Justice Fan Centre, Central Methodist Mission, Mphuthi Street, Jabavu, Soweto. Clean out Corporations from Government! On Friday, Democrat Senator from Rhode Island Sheldon Whitehouse made a rallying call to the American Senate, and people, to clear out corporations from government. In the wake of the disastrous Gulf of Mexico Oil Spill which continues to spew thousands of barrels of oil into the ocean ecosystem of the area everyday, this call is powerful in its simplicity, truth and passion. 2010 will be remembered as the year the soccer world cup came to South Africa. It will be remembered by the people who were here before and will be left here after the world cup. In remembering 2010, we therefore need to explore what 2010 means for those people. What does 2010 mean for the residents of Ellis Park? What does it mean, to stand in the neighbourhood of Ellis park on the night before the opening match looking over the beautiful stadium of Ellis park, shining with hundreds of lights and water in abundance, empty at that moment but waiting for the world to come and watch the match, once, twice, three times maybe, during this world cup. This building that one stands in, looking over the stadium, this building that has residents who have lived there for years; this neighbourhood that is home to thousands of South Africans… is dark. There is no electricity and no water. The day of the opening match dawns and the excitement in the streets is unimaginable. It is only comparable to the excitement of 1994, when the nation was newly born as a democracy. When people had dreams and hopes of how the new South Africa would be. When the poor finally thought they would find their place in the sun. By 11 June 2010, some of those poor have been living in shacks, or what we call informal settlements since then. For years, they have been waiting for the government to build houses for them. While counting those years, one day, they were displaced from the homes they had built from plastic and tin, not to be relocated to newly built houses, but displaced for the sake of building stadiums, stadiums that have cost billions of rands, while South Africa’s poor continue to be in a queue they have been in for ten years or more, to get decent housing. What does the world cup mean for the woman in Sharpeville, who wakes up and puts on her South African flagged outfit, and has an idea to sell some food so that she too can be part of the beneficiaries of this beautiful event, only to learn that the only people allowed to trade close to the stadium are those approved by FIFA, and she therefore can and may not do such thing. She realises at that moment, in her sudden ambivalence, that this world cup will actually not benefit the regular South African economically. The loudest voice that talks about South Africa 2010 is the voice that celebrates that we have come a long way since 1994. It is the voice that looks at the unity with which the nation supports the team. It celebrates the aspirations of our people, and remembers those who fought for democracy, and that if it had not been for them, we would not have achieved democracy and would not have had the opportunity to host the world. Yet there is another voice that is not heard. This is the voice that acknowledges everything that louder voice celebrates. This voice however says: what about the other side of South Africa? What about the 46% of the population that lives below the poverty datum line? What about the significant percentage of this population that has been displaced for the purposes of this world cup. One asks, can a poor country not host a world cup and another answers, it can. But the question is: How should that world cup be hosted? Does such a country not owe it to its people to host it in a way that considers its people and aims to benefit them? There is another sound to this world cup, the silent vuvuzela that is drowned by the loud cheers. While we are not rejecting the world cup, it is important to enjoy and still be critical. While we pose as a “World Class African Host Nation”, it is important to understand how many people of our own people we have displaced to create this image, how many we have sidelined, and how many we have betrayed. Not Nigeria vs Netherlands – the Ogoni vs Royal Dutch Shell! 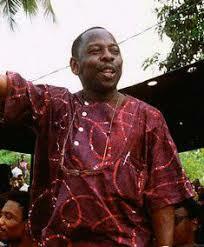 Writer, poet and environmentalist, Ken Saro-Wiwa was executed in Nigeria on November 10, 1995. He was the leader of a non-violent movement of about 50,000 Ogoni people fighting for the protection of the Niger Delta that was being desecrated by the operations of major oil companies, including Royal Dutch Shell that has the largest operation in Nigeria. Shell Oil commenced its operations in the Niger Delta in 1958. Mr Saro-Wiwa’s campaign advocated for protection from oil spills, from the destruction of mangroves to make way for oil pipelines, and from pollution of the environment by the by-products of continuous gas flaring operations. They also complained that they had no share in the wealth being generated from oil extracted from their own land. Shell was eventually forced to quit Ogoniland in 1993. The outrage generated by the Abacha military government’s charade trial and execution of Saro-Wiwa and eight others (the MOSOP Nine) contributed to the fall of that government. Ten plaintiffs including Saro-Wiwa’s brother and son used the Alien Tort Claims Act in a New York court to charge Royal Dutch Shell with complicity in torture, wrongful killings and human rights abuses. Just over a year ago, on 8 June 2009, a settlement was reached with Shell after a thirteen year long legal battle and three weeks of mediation. The outcome was that Shell paid out US$15,5 million to establish a Trust Fund to compensate families of the executed for their loss and to assist in providing resources for education, social services and small business enterprise support to the Ogoni People in the region. The settlement represents only about four hours or about 0,5% of Shell’s record $31.4 billion profit in 2008. The Alien Tort Claims Act is the same legislation being used by Khulumani Support Group in its lawsuit against multinational companies — which originally also included Royal Dutch Shell for supporting the apartheid regime by supplying it with oil in defiance of the United Nations oil embargo against the apartheid government. If the South Africa Apartheid Litigation is won in court, the impunity of multinational corporations such as Shell, Daimler, Ford, General Motors, IBM and Rheinmettal will be further curbed.